Фото "A tear drop of the ocean"
Another picture of Atlantic. It was about 7am when I took this shot, one of my last shots that morning. 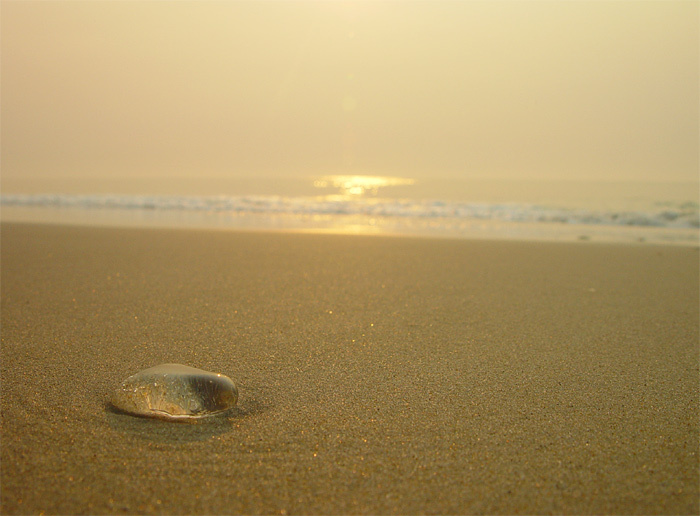 I was trying to express loneliness of this forlorn jellyfish cast away by the tide. Amazing picture. Really looks like a drop! so neat, so wonderfull... congrats! Maybe a slight crop at the top? Beautiful image, Roman. A beautiful impact of simplicity...of nature.